For the last twelve years, Cantor Colburn LLP has been the fastest growing patent law firm in the country, according to patent analytics and research firm Juristat in its blog post, “The 10 Fastest Growing Patent Law Firms” (November 8, 2018). 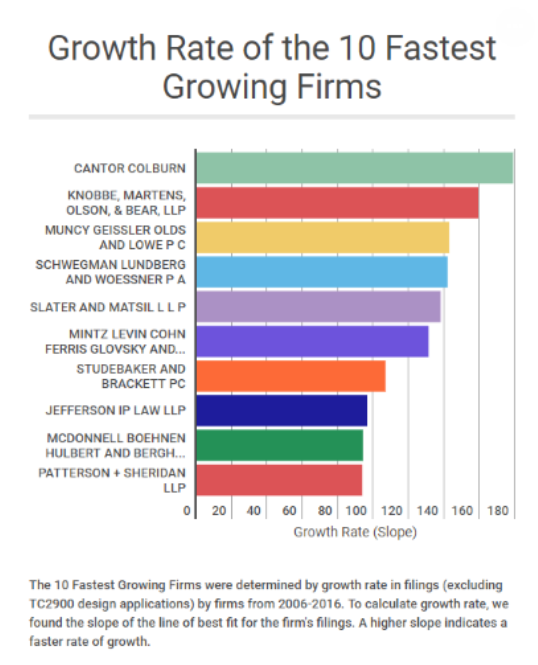 This is the second time Juristat has measured law firm growth and the second time that Cantor Colburn has been ranked #1. Significantly, Cantor Colburn is one of the largest overall utility patent filers over the last decade as well.